Precious left Nigeria for Europe with the help of a family friend, or so she thought. She tells InfoMigrants about traffickers, bureaucracy in Italy and a baby in a German 'anchor center'. The baby is asleep. She looks peaceful, and also very cute, snug in her little jacket with teddy-bear ears. "Her name is Luna Emadi," her mother says quietly. Precious was about seven months pregnant when she arrived here. On September 17, Luna came into the world. I ask Precious what the birth was like and she gives me a "let's not go there" look. It's hard to imagine what it would be like to bring up a baby without any family support in a place like this. But Precious, who's just 21 herself, appears to be a supermum, and complaints are not part of her vocabulary. The room she shares with two other mothers and their baby boys is large, Precious says. There's enough to do, people are helpful and can give you whatever you need. If you follow the rules, you'll have no problems with security. In a "camp", as she calls it, you can't expect to be perfectly comfortable. "It can't be like home," she concedes. "But you can still adjust to everything." Without such positivity and resilience, Precious might not have survived the long and treacherous journey that has brought her as far as this small town in southern Germany. Her story begins in Nigeria, where about half of the population lives in extreme poverty. Unlike many girls in the country, Precious finished high school, but university was out of the question because her father was "not financially balanced." As she wanted to continue her education, she set her sights on Europe. The first major sign of trouble came in Libya. "It was with the help of a family friend," she explains. "Actually it's kind of a bad story. I was told it was to further my education, but I found out in Libya that this was a false story. The real story is to come here for the person who brought you, and prostitute for her to pay her back. "In Libya I made up my mind not to go into (prostitution). I didn't like the idea of doing that. I only wanted to further my education." What happened next, Precious doesn't say, except that she hasn't had any contact with the family friend who turned out to be part of a trafficking ring. Whatever the reason that Precious doesn't want to talk about how she got out of Libya, the fact that she made it makes her one of the lucky ones. The abuse of tens of thousands of mainly sub-Saharan African migrants trapped in Libya has been widely reported. Women and girls from Nigeria continue to be targeted by traffickers who force them into debt and slavery. Those who are able to make the crossing to Europe are at risk of dying at sea, and of those that survive, the vast majority end up in prostitution. In 2017, around 18,000 Nigerians arrived in Italy via the Mediterranean from north Africa. 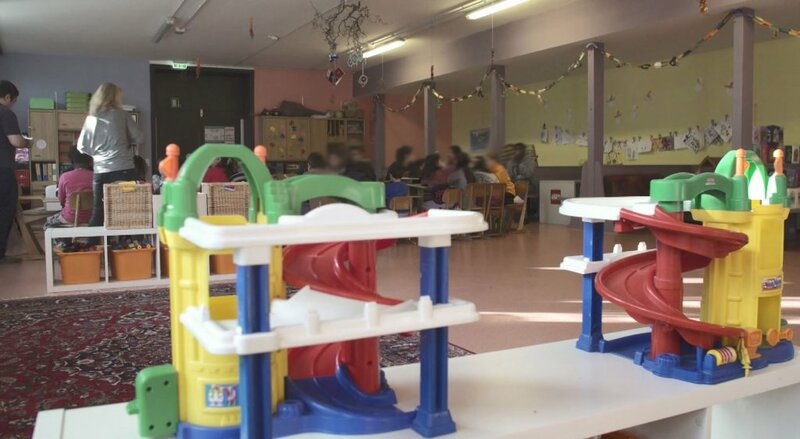 Of the women and children, the International Organization for Migration estimated that about 80 percent were being trafficked for sexual exploitation in Europe. According to the Italian government, as many as 30,000 Nigerian prostitutes are currently working on the streets of Italy, many to pay off debts to traffickers. 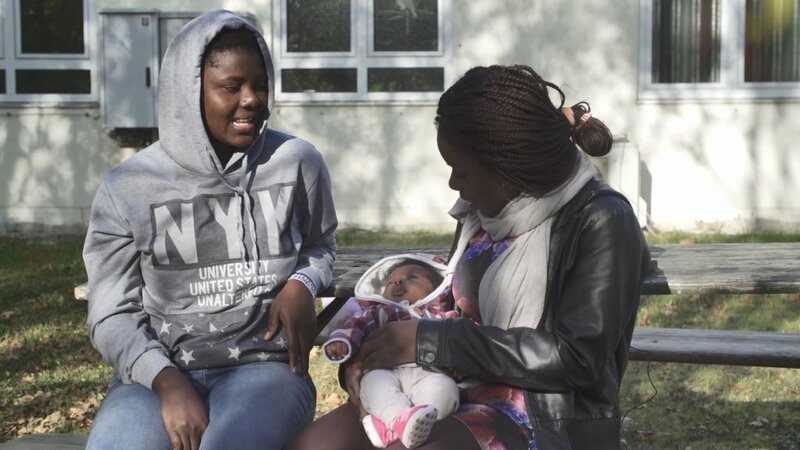 Precious picks up her story again in Italy, not on the streets, but in refugee accommodation. Here, she achieved B2 (upper intermediate) standard in Italian and got a bar-tending certificate. At the same time, she was struggling with the bureaucracy to have her school qualifications recognized. "I tried several times to get admission into the university there (in Rome) to study nursing. It was of no use. It was impossible, because they weren't able to accept my Nigerian higher school certificate." "I checked on the Internet and got the idea to come here (to Germany) and seek asylum. A lot of things said that if you are accepted, you have the possibility to study nursing without applying to the university with your higher school certificate. So I made up my mind with my fiance to move here." By now, Precious was more than six months pregnant, almost certainly tired, but not ready to give up. She arrived in Munich, southern Germany, by train. "I asked questions and with help I got to the asylum center. I told them what I wanted, to seek asylum here, and they did the process. And the day after that, they transfered me here." For the last leg of the journey, Precious was dropped at the station in Munich with a train ticket, a map and the address. 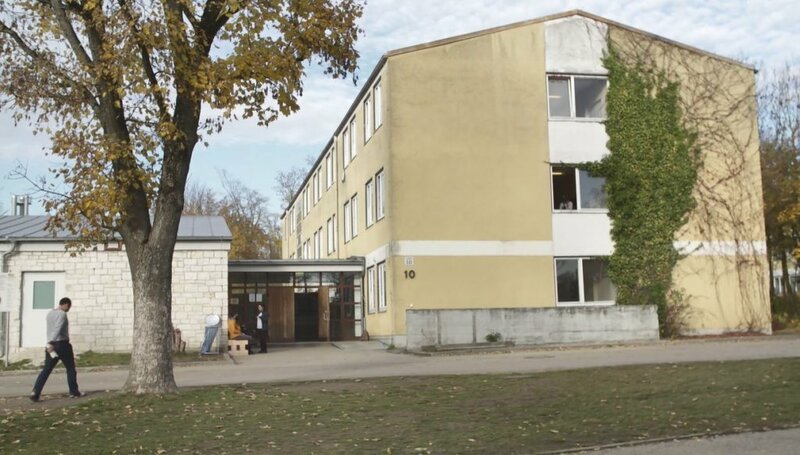 When she reached Donauwörth, she asked for directions and took a bus to the anchor center. Life for Precious has taken yet another turn with the arrival of baby Luna. After her birth, the Federal Office for Migration would have been informed. If Precious is allowed to stay in Germany, Luna will of course remain with her. Some day, Precious hopes she'll have the chance to enrol in that nursing course and fulfil her dream.